Starting yesterday my daily routine with DuVinci has changed drastically. During (an extremely busy) July I phased out the work for BestPlaces that I have been doing in some capacity since 2001. It’s time for me to focus on something new. I want to help others create on the Web. There are designers with great skills who want to learn to program. And there are bright business owners who can’t execute on their ideas. 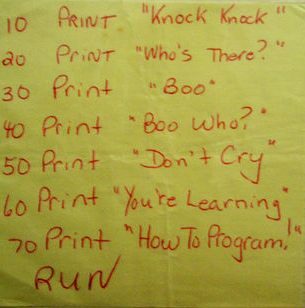 I believe anyone can learn to program. I’m looking forward to proving that. Right now you can see my first steps at Webmonkey. I’ve written for the site since 2000, but now I’m joining as a contributor on the Monkeybites blog and writing about a tutorial per week. The move from BestPlaces is tough. I believe in the aim of the site and the people behind it. In fact, I’ll be helping them out a bit here and there. I’m excited about my next steps and look forward to hearing your ideas. Many thanks to those who’ve already given me such wonderful advice. I hope to receive more of it soon. Congratulations on making this big change! Knowing you, it’s definitely the right next step. My experience programming for over 30 years is that virtually anyone can learn at least simple programming, but most people don’t have or want to apply the interest, concentration, and persistence it takes. Maybe you’re about to prove me wrong – I’ll watch and see! Congratulations and best wishes Adam! Looking forward to your tutorials. Congratulations! I have no doubt that you will do awesome stuff! Alright! Making the plunge is hard and I am sure a little scary. I am glad you did it. I know you as as one of the most focused, motivated, and skilled web enthusiasts in Portland. I know it will be great and look forward to seeing the steps you take. For now I am going to go scour webmonkey.com. Congratulations and good luck! I think that’s great! Change can be exciting, but also scary. I’m glad you’ve decided to share your knowledge. I don’t believe anyone can learn to program, but I do believe everyone can be good at something. Seriously, best of luck. I know you’ll do well. Congratulations on the change. I’ve enjoyed your webmonkey writings (and the other postings there) since a link above the top of my Gmail inbox pointed me at an interesting article there — that you happened to be the author of! We’ll find out if anyone can learn to program. I’ll follow your lead, and congrats! Thanks everybody! I’m looking forward to sharing more in the coming months. Hmmm….I may very well be the one who will disprove your theory that *anyone* can learn to program. But I congratulate you on taking the leap of faith, and am sure we’ll see many good things from you in the days (months? years?) to come. Congratulations. As more of a designer type, I am looking forward to your tutorials on Webmonkey. My wife, who is more of a coder, is looking forward to them. Keep up the good work. Ok, I’m ready to test out your theory that anyone can have a website. When’s the tutorial begin?